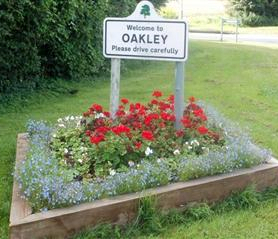 The aim of this website is to provide an insight into what we do as a Parish Council and to bring together detailed information about the facilities we have in the group of villages making up the area we all know as Oakley. I hope you will find that the site is full of useful information and you discover new things about Oakley and Deane to enjoy. Please explore the site – whether you have lived in the village for many years, are a newcomer or just browsing, I am sure you will find something of interest.